What makes Guerlain #17 Violines special is its finish. The palette is composed only of satin to matte shades which are very soft and finely milled. Although these are so soft, I haven't experienced fall-out during the application. The intensity of the application can be tuned depending on the fullness of the brush or the layers you apply. With one pass, you can achieve a sheer coverage, with multiple passes or a fluffy brush, you can get full on effect, which is still soft due to the shade selection. I have introduced the shades in my previous post, which you can check here. 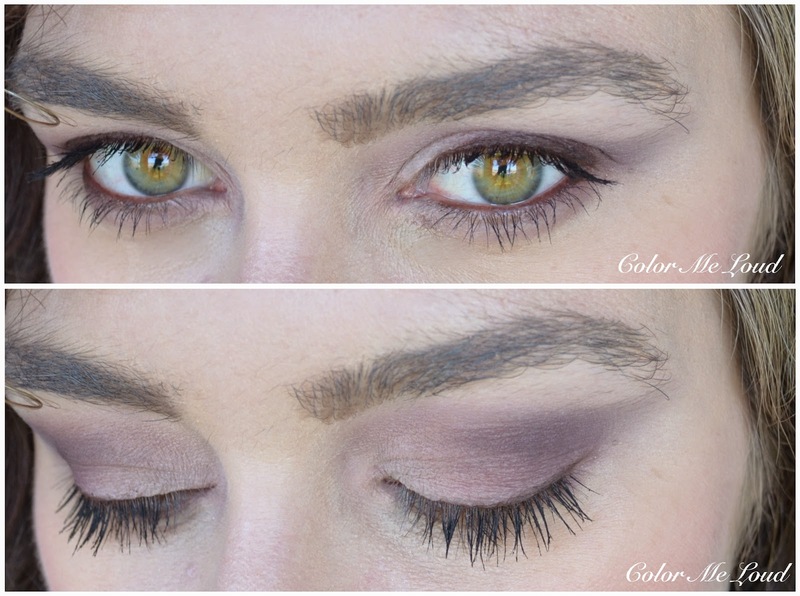 Below I am wearing pale pink (top) all over the lid as a base, soft mauve (right) in the middle and mid-toned plummy pink (bottom) on the outer corner. I defined the outer corner and crease with the deep plum (left). 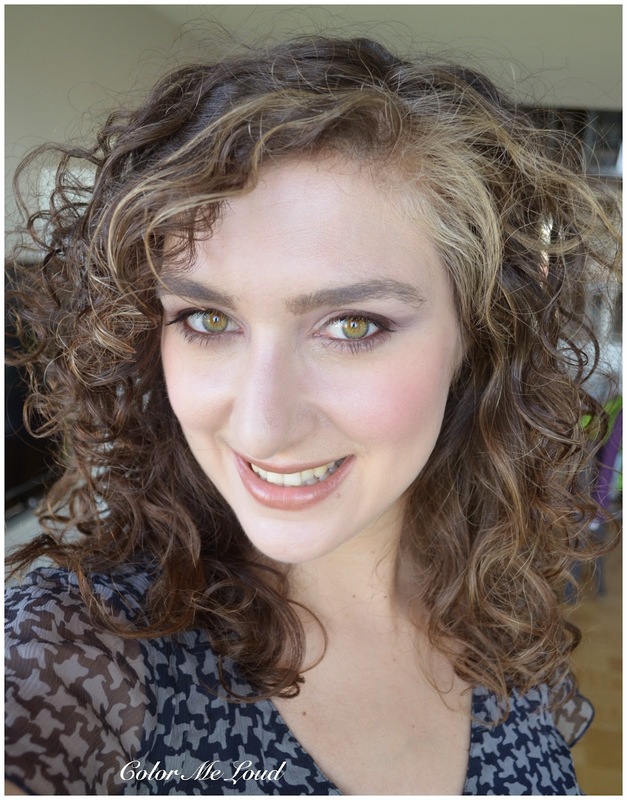 I lined my eyes with Guerlain Eye Pencil #02 in Jackie Brown, which is my go to eye pencil for soft looks and applied Rouge Bunny Rouge Modelling Mascara in Witchery which I am loving at the moment (review coming up soon) on my lashes. It is getting hard for a palette to be very unique in my stash but Les Violines accomplishes it not only with its finish but also because of the tones. Just when I was thinking that I have all the plummy purply colors out there, I was surprised to find out I don't have anything like it. 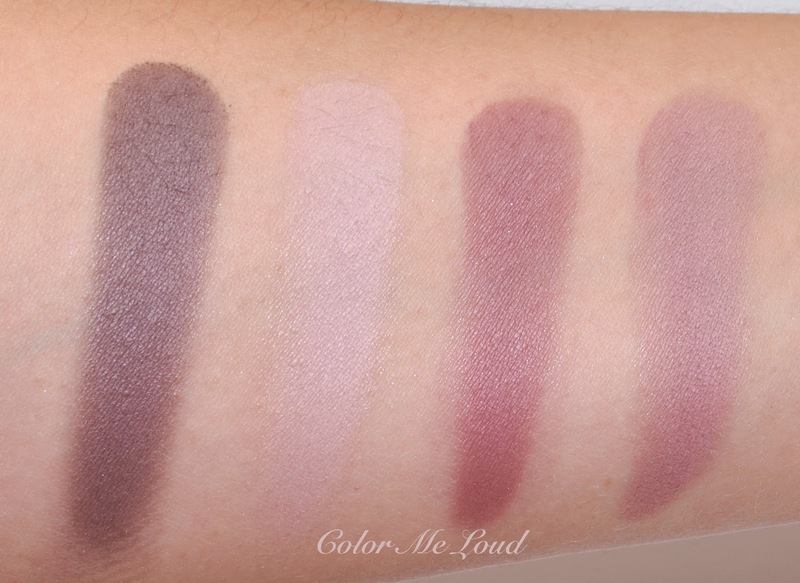 The closest which I can think of is Burberry Complete Eye Palette #06 in Plum Pink because the finish is close, but it turns out that Plum Pink is warmer and has more brown/beige tones once compared. 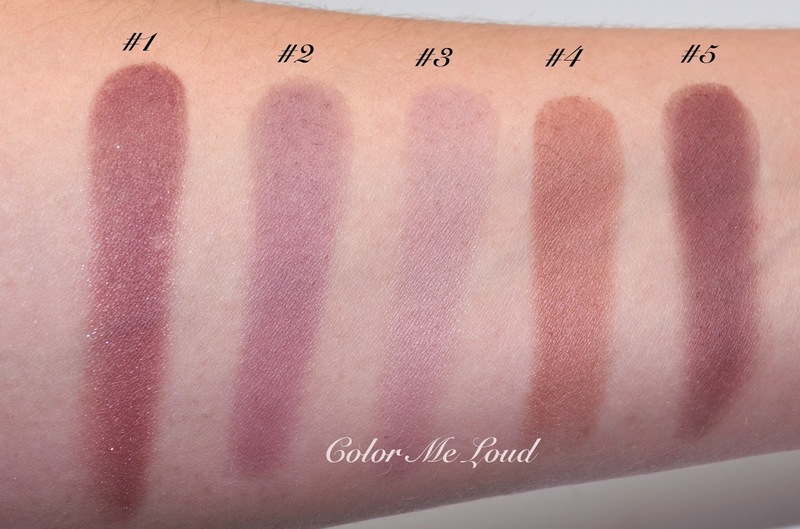 Also Plum Pink has mostly satin shades while the shades in Les Violines are more matte. 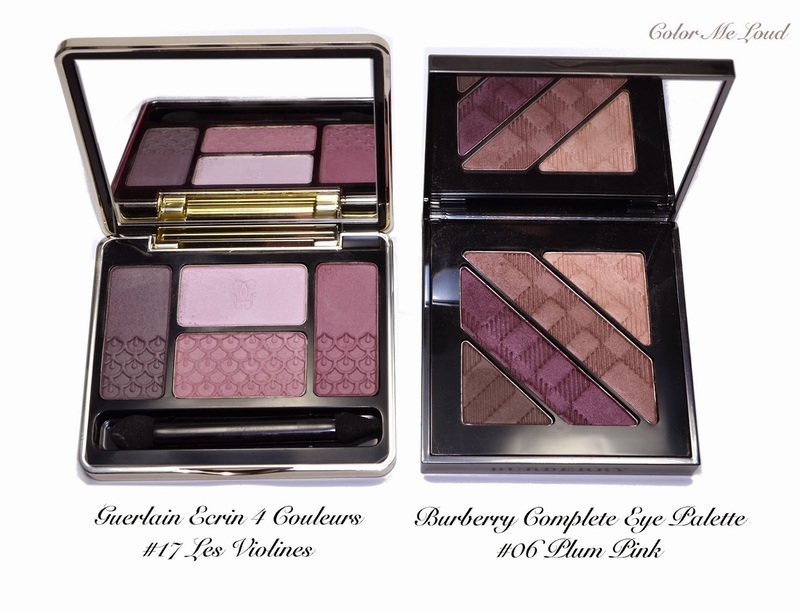 Burberry is releasing another plummy pink palette for this fall which I will introduce you during next week, I suspect that one can be closer to Les Violines, so stay tuned. I wore Les Violines yesterday and I was impressed by the longevity. I applied my make-up at 9am (over Nars Pro-prime) and at 11pm almost everything was gone other than my eye-makeup, which was looking fresh with no signs of fading. Usually I don't have problem with longevity but I often experience fading after 6-7 hours mark, which means the shades doesn't look as vibrant or fresh as it was applied, which is not the case with just a few brands, like Suqqu, some of Tom Ford and latest palettes of Chanel. I am happy to report that Guerlain is now included in this extreme wear accomplishment list. 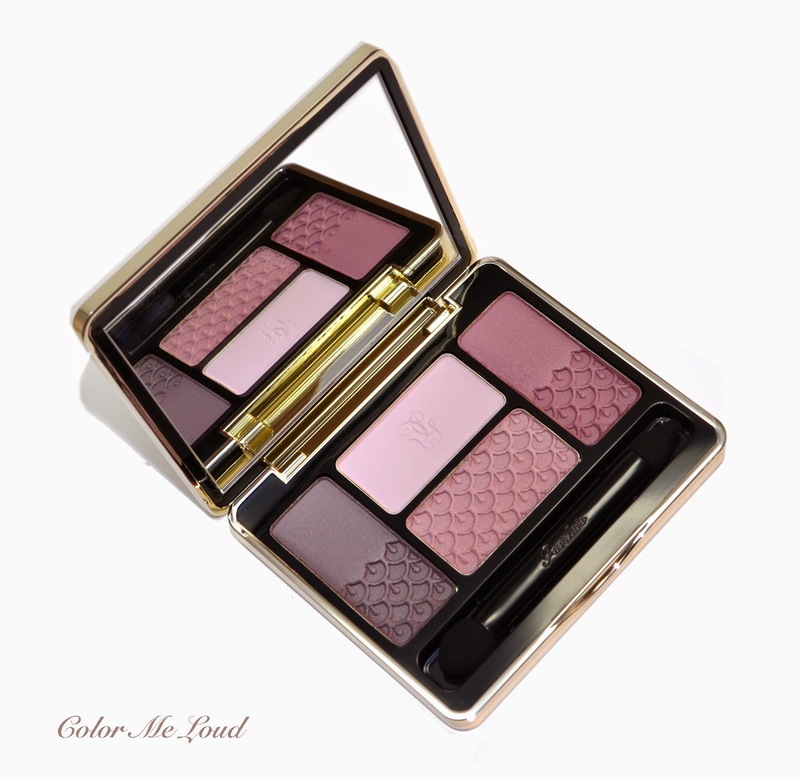 If you have oily lids and happened to try Guerlain Ecrin 4 Couleurs please leave a comment below and let us know your thoughts about the longevity. Final thoughts: Loving it, #17 Les Violines might become my daily affair for a polished daily look. I can't recommend it enough if you like these tones as much as I do. How do you feel about palettes with just matte shades? Omg, I need this in my life! It turned out even better than I was hoping for! The shades are so flattering on you! Big love! LOL Teri, yes you do :-) I am sure they will look stunning on you. Guerlain is becoming a major weakness for me!! 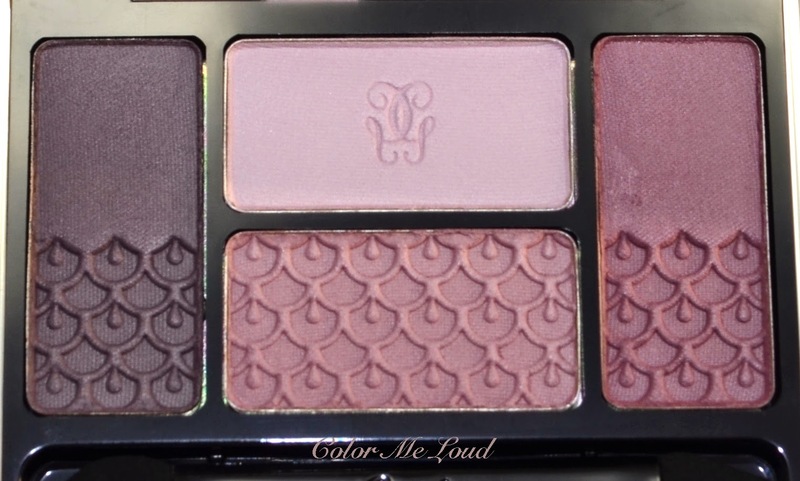 I definitely want to get my hands on one of these palettes now!!! 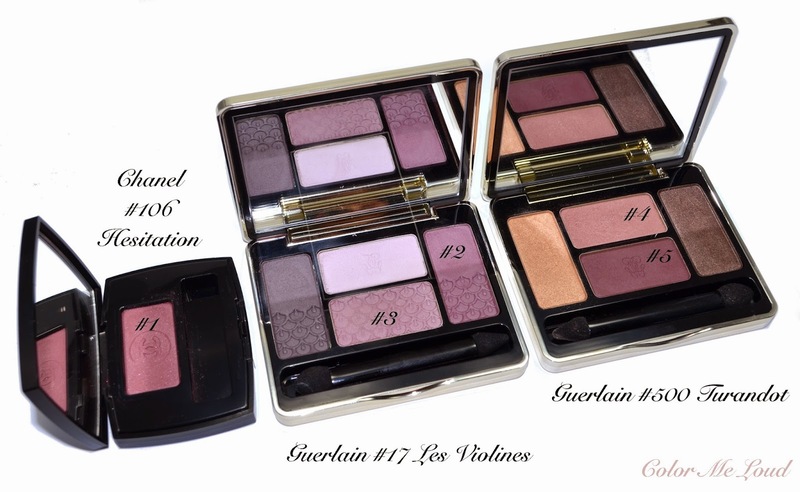 I am always a fan of Guerlain make-up, especially powder products are so good in quality. i known these are your colors as well, and you will love the matte finish. I remember you were not that happy with all the shimmers and metallic ones recently. I can't wait to read what you think of it too. And again you made me laugh with Ice Tea lol. I agree with Teri, I need this in my life! So beautiful!! Turandot is so stunning and yet why don't I wear it. I should do that again. Violines... Yes, best word is stunning! yes it is so luxurious, from the heavy hefty packaging to the soft silky powder. I will be enjoying it so much this fall. You look great in these colours, Sara. Turandot is one of my favourite palettes. Funny how I don't use it much >_< Downsizing might help, but that defeats the purpose of my loving my eye shadows. HAHAHA! Guerlain arrived, it's the Ecrin 2 Couleurs Two Vip. Excited to try it! Love Purple eyeshadow!! Oh Two VIP, I m excited to read your review about that one. It is a pretty purple, not very conventional though with that glitter shade. Are you loving it? Aurore is more shimmery and bright, this quad is matte and subdued, like Fall kind of shades if that makes sense. They are indeed stunning and look great on you...a bit pricy but ....wonderful .